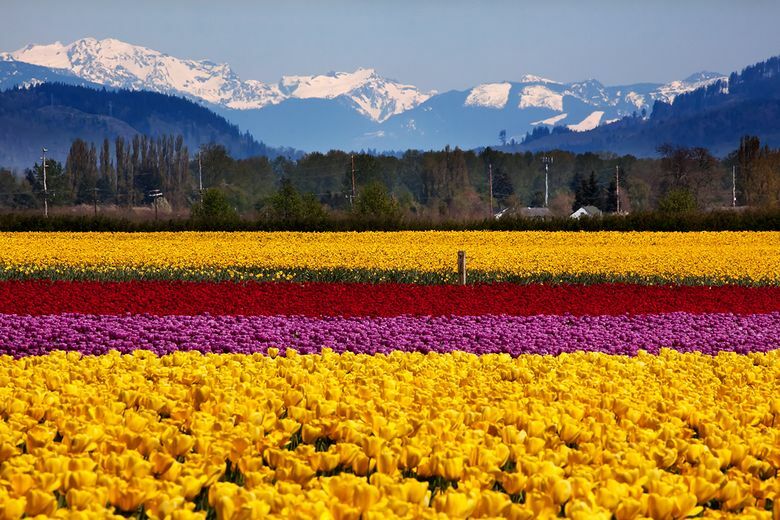 Plan ahead to enjoy the Skagit County Tulip Festival to the fullest. It’s a spectacular rite of spring in Western Washington: reveling in the gorgeous tulips on display in Skagit County. And what a contrast to a dark, gray winter of record-breaking rain! The acres of vivid red, yellow, pink, and purple tulips waving in the breeze, almost seem as if they’re waving hello to the new season. The festival is notable not only for the fields of intense color. It’s the sheer scope. You won’t find more acres of tulips outside of the Netherlands. It’s no wonder that last year, flower enthusiasts trekked to the Skagit festival from all 50 states and more than 90 countries. But with this popularity come logistical challenges. Even the most ardent tulip fan can droop from exhaustion from the slow-as-a-snail traffic on Interstate 5, Highway 20, and the access roads to the farms and fields. No matter what the forecast, play it safe and prepare to get wet. Pack an umbrella, a waterproof rain coat, and rain pants if you have them. Tall rain boots are a must. Even if the sun is shining, fields can be very muddy – and extremely slippery. Chances are you’ll see someone taking an unexpected slide in the mud. Packing an extra fleece or two, extra shoes or boots, socks, and a towel in your trunk can go a long way toward keeping you warm and dry. In addition to the spare footwear, having snacks with you is a must. Pack granola bars, a full water bottle, maybe some fresh fruit – to help you keep up the energy, even if you’re stuck in bumper-to-bumper traffic on Highway 20 with fellow festival-goers. And be sure to have a copy of the Tulip Festival map with you. Pack your car-friendly cellphone charger to make sure you can view the mobile version, or make a printout and slide it into a gallon-size plastic zip-top bag to keep it dry and readable in case of rain. Make sure you also have plenty of gas in the car – gas stations aren’t that easy to find in La Connor, Mount Vernon, and around the festival highlights. Cash is also a must, as some fields charge for admission, parking, or both, and are strictly cash-only. If you want to combine a bit of a workout with your tulip viewing, Tulip Country Bike Tours in Mount Vernon (countrycycling.com; 360-424-7461) is a fantastic option. Routes are customized for your party and typically cover 8 to 10 miles of all-flat terrain. A popular tactic to avoid the bumper-to-bumper boredom is to hit the road in the very early morning hours (preferably with lattes for you and each passenger to keep you alert). By 10 a.m. on weekends, the main access roads to the most popular farms (RoozenGaarde, 15867 Beaver Marsh Road, and Tulip Town, 15002 Bradshaw Road, both in Mount Vernon) can be shockingly slow-going. For a less stressful tulip excursion, opt for a weekday adventure to avoid the biggest crowds. If you’re truly averse to crowds, or just like outsmarting them – here’s a savvy strategy. Forget traveling at the crack of dawn or using up a day off work for your festival time. Instead, head straight to Bellingham. 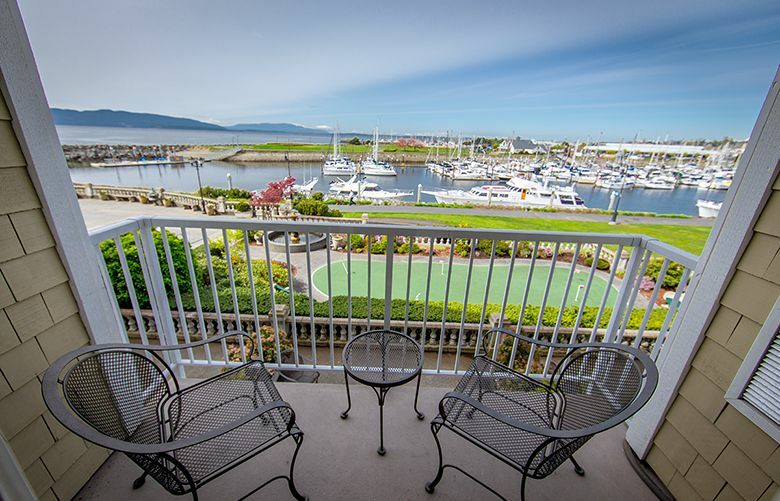 If you choose the Bellingham option, we suggest reserving a room at the Hotel Bellwether, a 66-room boutique hotel situated right on the water (perfect for admiring the sunset over Bellingham Bay), close to beautiful walking trails. Each of the hotel’s rooms has been recently renovated, features custom artwork commissioned from local artists, and boasts a fireplace and private balcony. The Bellwether’s Lighthouse Bar and Grill is known for stellar seafood risotto and filet mignon and features jazz five nights a week. The hotel also features Zazen, a day spa (which offers in-room couples’ massages). 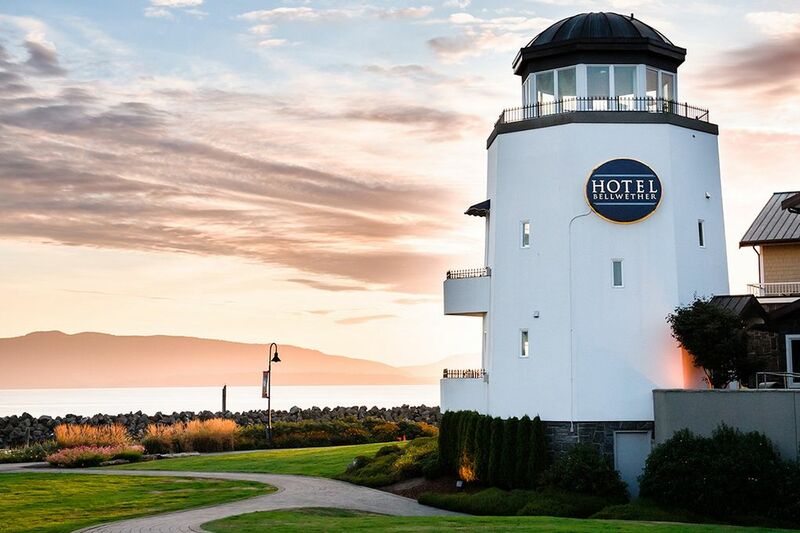 You can reach the Hotel Bellwether at 1 Bellwether Way (360-392-3100; www.hotelbellwether.com). Due to its smaller size, we recommend you make your Tulip Festival hotel reservations as soon as possible.